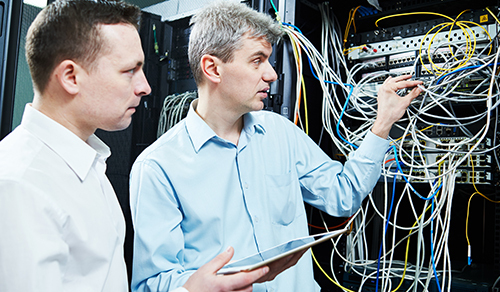 Network Analysts are essential for providing field service management. They offer a range of computer support, ensuring that all network systems are maintained - while also developing data communication networks as well. If you’re looking to hire an incredible freelance network support analyst, then use Field Engineer to save money and connect with one almost instantly! All the engineers on our platform have been through extensive background checks and a vetting process. This means we only connect you with individuals that boast a wealth of experience and knowledge in their chosen field. You will hire a freelance network support analyst that’s incredibly talented and has proven themselves to be reliable. What’s more, you get all of this without needing to spend days searching for them. Just post a job, and we do the rest. We make life much easier when hiring new talent. Don’t go through the pain of creating your own job ads and waiting for people to respond. Here, you just need to sign-up to Field Engineer, then post a job via our portal. We even provide templates to make things even simpler for you. From here, we notify any field engineers that fit your criteria, and they apply in real time. You could have dozens of applicants within the first 30 minutes! It couldn’t be any easier; sign up to Field Engineer today, and you can post as many jobs as you like. Now, you can build a flexible and talented workforce with the assistance of freelance network support analysts.